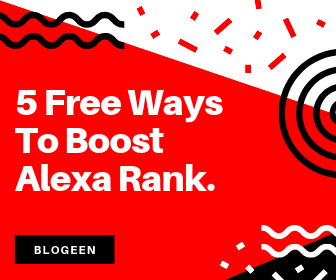 Hometips and tricks5 Free Ways To Boost Alexa Rank in 2019. In your mind sometimes a thought strikes that what are the Free Ways To Boost Alexa Rank or How to Increase Alexa Rank. Is it really possible?The answer is "YES". So,friends if you want to know Methods To Improve alexa ranking. Then be with us and read this post. Hello friends my name is Varun Sharma and today I am going to tell you 5 Methods To Improve Alexa Ranking. So first we should know waht is alexa? Alexa is a company of California. Alexa ranks your website or blog on the basis of your blog's popularity . Alexa rank depends on the Traffic and PageViews. Alexa update rank of your blog daily. "Your Alexa Rank is an estimate of how popular your site is relative to all other sites." "Source – Alexa Blog "
How Alexa Measure Rank Of Your Blog? 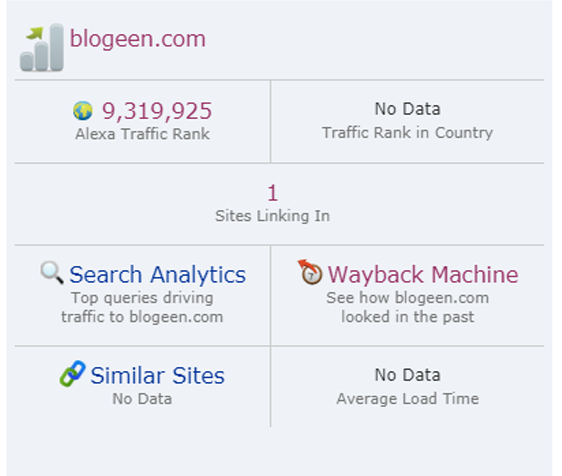 According to alexa official website, they rank a blog on several factors, such as daily unique visitors, Total number of pageviews,after collecting three months of data alexa rank a blog. According to me alexa rank depends on traffic completely. Does Alexa Rank Tells True? 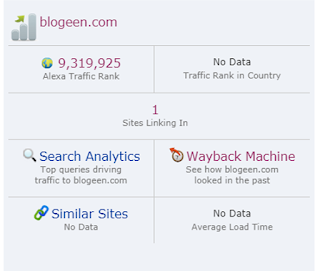 Alexa traffic rank for blog having alexa rank more than 1 lack is not so much good.But alexa rank for blog having less than 1 lack alexa tells there rankings true. Only you have to write good blogs your alexa rank will surely increase. This toolbar transfer your blog's detail to alexa, so it can will be easy for alexa to rank your blog. You can download this toolbar from there Download. There are the 5 Methods To Improve Alexa Ranking . 3. Traffic Of Your Website And Blog. 4. Update Your Posts Daily. Alexa Widget is a simple html code, you can add that code to your website or blog and by adding this code you can increase your alexa ranking. But How To Add Alexa Widget To Our Website? There are three Methods To Add Alexa Widget To Our Website. To add Alexa widget you have to some HTML codes in your website.This code only show you alexa ranking. "Replace blogeen.com with your website's domain name." 2. This code will show you site link with alexa ranking. 3. By adding plugin also you can add alexa widget. This toolbar is a cool tool by using this toolbar you can increase your website's traffic. You have to add this toolbar in your chrome browser. When you install this toolbar there you see alexa icon, and when you open any website and click on alexa icon that will show you all the details of that website. But a question strikes in your mind that how to add this toolbar in chrome. You can download this toolbar in your chrome browser by click to download. Then you have to click on install Alexa Extension and your this toolbar will add in chrome, and you can check rankings of any website by click on alexa icon. How Alexa Toolbar Increase Your Blog's Rankings? This concept is very simple and interesting that this toolbar is installed in any PC or laptop your alexa ranking will increase. You can also tell to your friend to install this toolbar and open your site. Alexa ranks your website on the bases of your traffic. You should increase your blog's traffic and your alexa ranking will surely increase. It is one of the best Way To Improve Alexa Rank using this method you will gain google trust too. In this feature you can increase your alexa ranking by writing your website's review and inserting your alexa link. Conclusion: Hey friends if you like our post "5 Ways To Increase Alexa Rank in 2019" then please share it and don't forgot to comment and continue visit our site because we provide you content about blogging and methods to earn money and so much more. @IOT DEVELOPER Thanks a lot dear we try to give our best.